through 360 degrees. Meanwhile, the whole space is recorded piece by piece. The persons follow the camera movement slowly, thus remaining constantly in the centre of the picture. 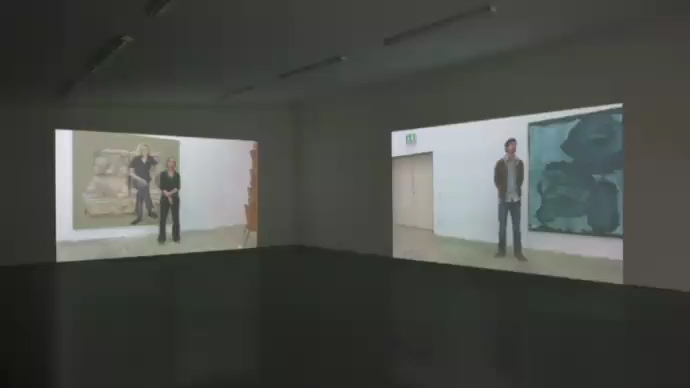 The video installations show artists in their exhibitions.